Chipping and putting are two areas of the game where most players can improve. Improve your chipping and putting, and you’ll significantly reduce your scores. Yet how many weekend golfers spend time practising their chipping? The chipping action is one of the simplest movements in golf, in fact it is probably so simple that people over think the shot and try to 'help' to the hole. Remember, less is often more! The most important aspect of the chipping technique is to make sure that your lead wrist doesn’t 'break down' during the chipping motion. This is what happens when the left wrist becomes bent during the through swing. 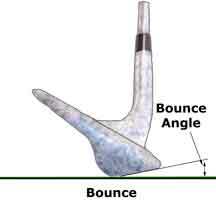 The moment your wrist breaks down, two things happen: It changes the loft of the club, which in turn alters the trajectory and the roll (inconsistent distances will result); and your arm also breaks down, which can result in bladed shots that go screaming across the green or you hit the ground first and the ball only goes 2 feet! To ensure that neither of these things happen, place a ruler down the back of your watch, which will help stop the left wrist from breaking down. This will give you the correct feel when chipping the ball. You should instantly notice a more consistent strike and shots as a result.